“Craving and Relapse,” was filmed in front of a live audience at Cal State University at Long Beach. Based on the time-tested Gorski Model of relapse prevention, this preventive DVD captures all the energy and enthusiasm of the presentation Bob’s been doing in universities, treatment programs, and conferences for over 25 years! Consistent feedback regarding the effectiveness of his style of educating this Gorski influenced prevention information has inspired Bob to create this relapse prevention DVD which is being utilized by nearly 1,000 alcohol and other drug treatment programs nationwide. He takes Gorski’s masterful information and refines it in a way that is especially useful in educating patients in treatment centers on the behaviors which lead alcoholics and addicts into the craving cycle. 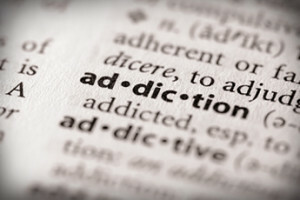 As a relapse prevention DVD, one thing that sets Craving and Relapse apart is its approach in dealing with the craving cycle: obsession, compulsion, physical craving, and drug seeking behavior. Most prevention DVD’s simply teach the viewer to utilize the tools of recovery when a craving hits. Given the craving cycle happens to all alcoholics, and that it always precedes relapse, why would we want to wait until the cycle strikes to take action? Shouldn’t alcohol and other drug addicts be taught how to avoid getting to the cycle in the first place? Shouldn’t that be one of the main points in any prevention DVD? This DVD does just that – it helps the viewer to identify the set-up behaviors and trigger events that lead to the craving cycle so the frequency by which it is entered is significantly reduced. Another focus of Craving and Relapse that sets it apart from other relapse prevention DVD’s is that is does not merely teach the recovering person how to identify and avoid triggers. It actually teaches viewers what makes a trigger a trigger. If that is not explained and understand by both the addict and helping professional, the only thing to be done about triggers is to avoid them, which is what most prevention DVD’s do. Craving and Relapse not only teaches what makes a trigger a trigger, but also teaches about the trigger recovery process – an essential component for any relapse prevention DVD. “Craving and Relapse” also helps alcoholics and drug addicts identify their set-up behaviors and trigger events, educates on Euphoric Recall and the stages of recovery, and concludes that it is possible to find pleasure in sobriety. Read more about Euphoric Recall .